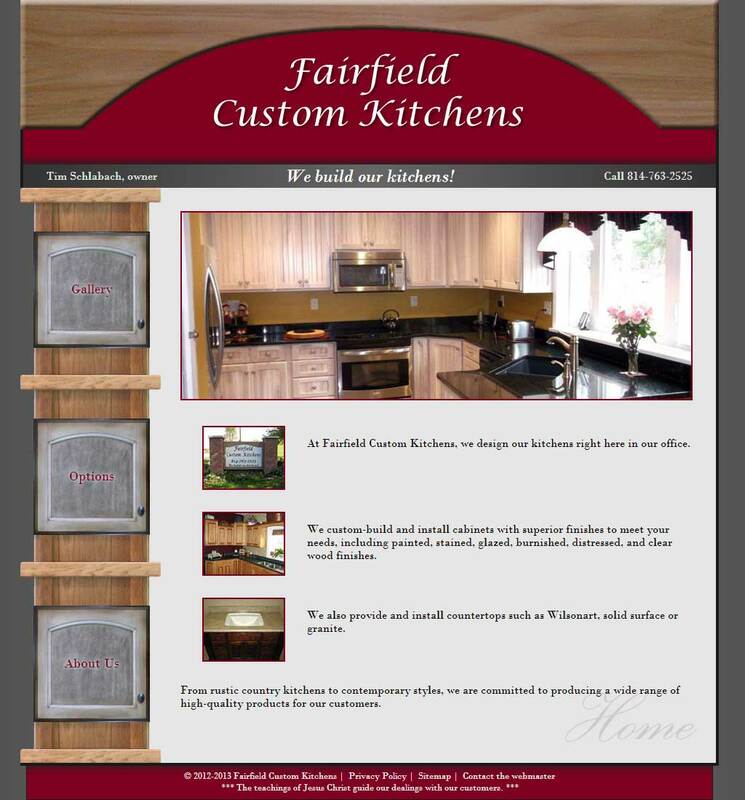 Tim at Fairfield Custom Kitchens wanted to represent his business online and provide a place for customers to review options for stains and finishes, door styles, and hardware. Review the gallery of completed work and start dreaming of your own custom kitchen! Project includes basis PHP includes, static HTML/CSS, and a jQuery lightbox feature.